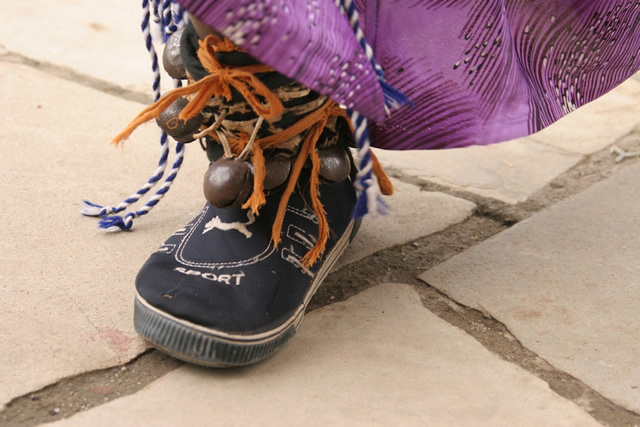 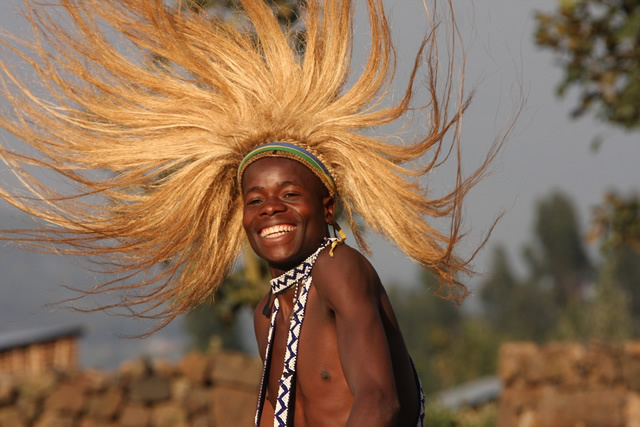 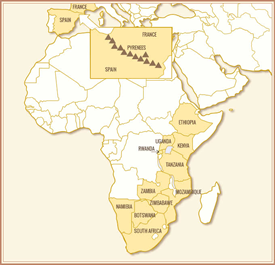 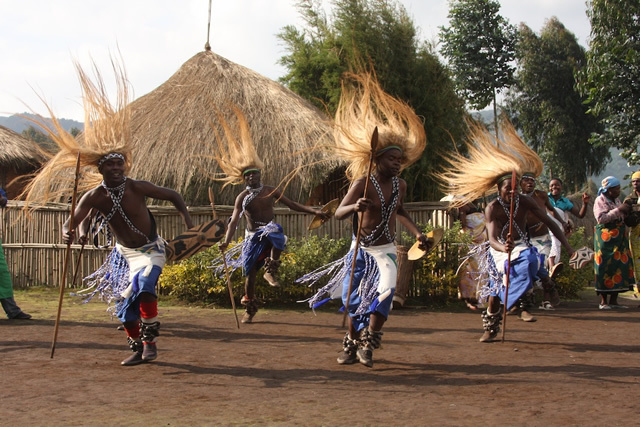 Rwanda is a tiny country, known as the land of 1000 hills, sandwiched between Tanzania, Uganda and the Congo. 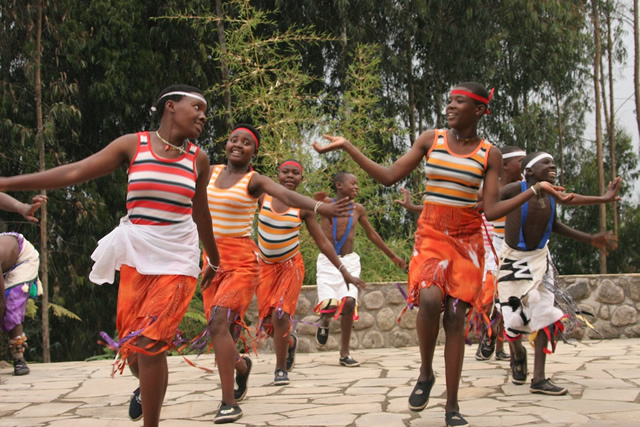 Sadly Rwanda is most renowned for the genocide that occurred in 1994. 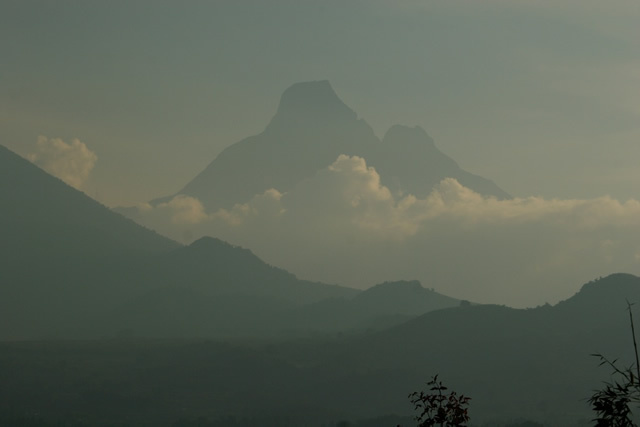 Since then a very stable government has been in place, where corruption is very rare, and reconciliation is on-going and a government priority. 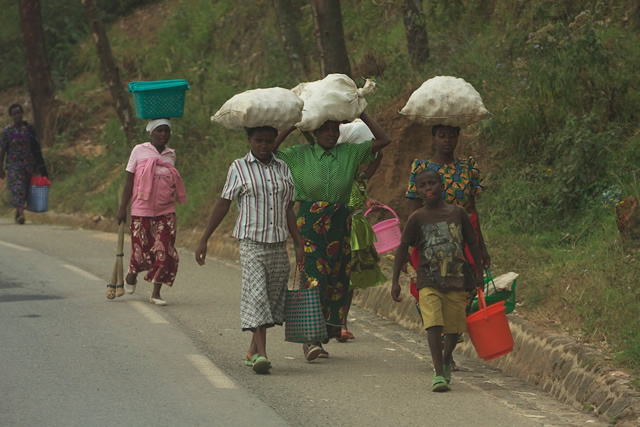 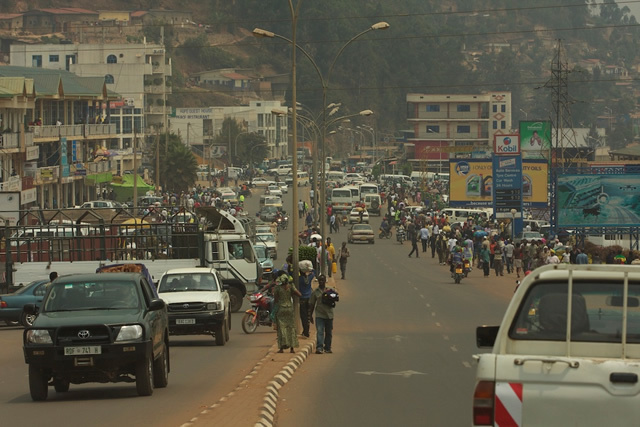 Rwanda is one of the most densely populated countries in Africa, and naturally economic development is a high priority for all. 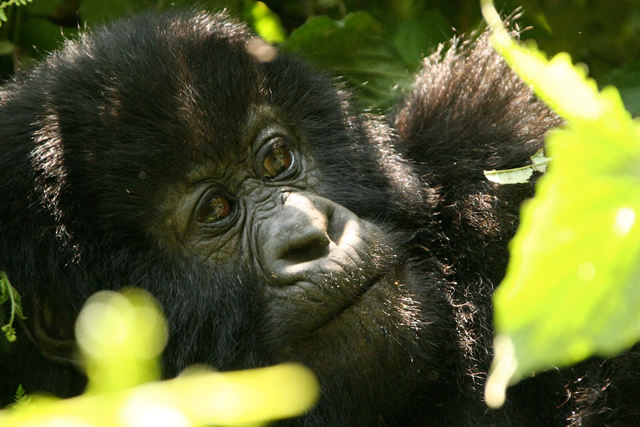 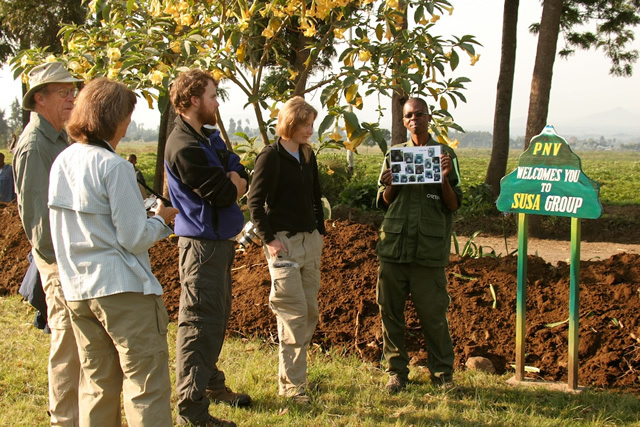 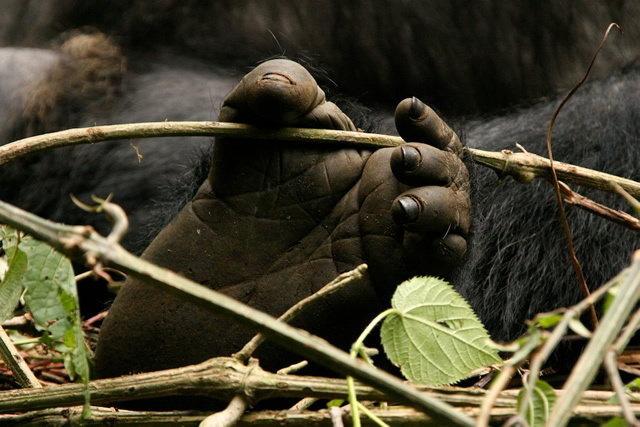 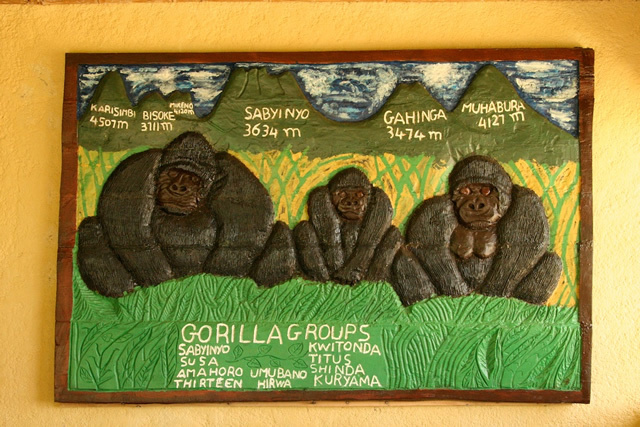 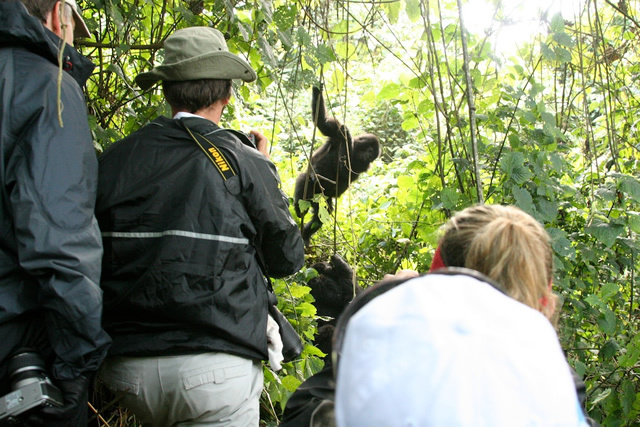 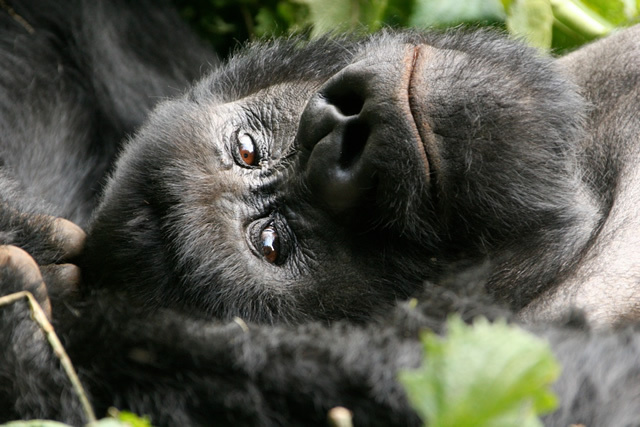 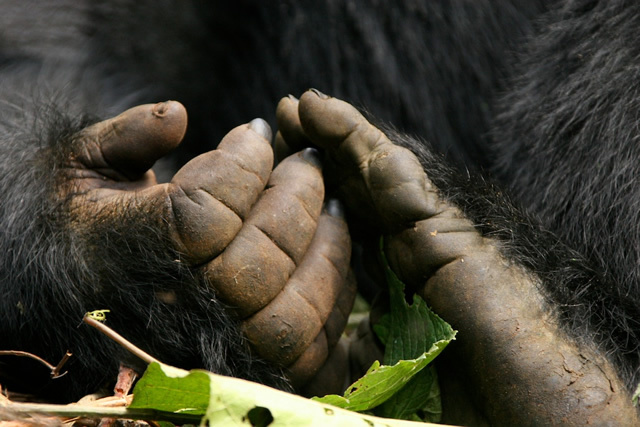 The tourism industry is a crucial part of this, and Rwanda’s main attraction, the mountain gorilla, is key. 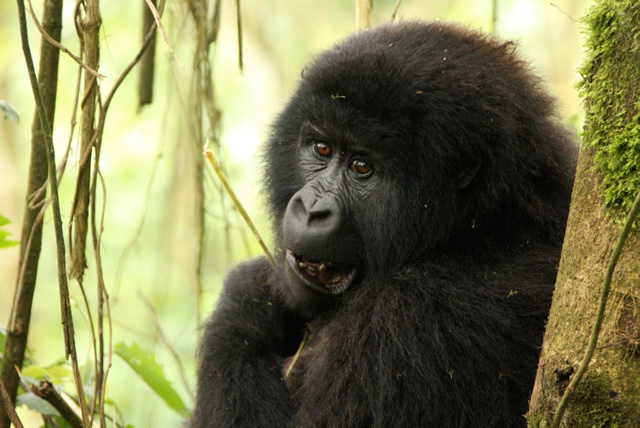 As a result the population levels of this rare species has been on the increase in the last few years. 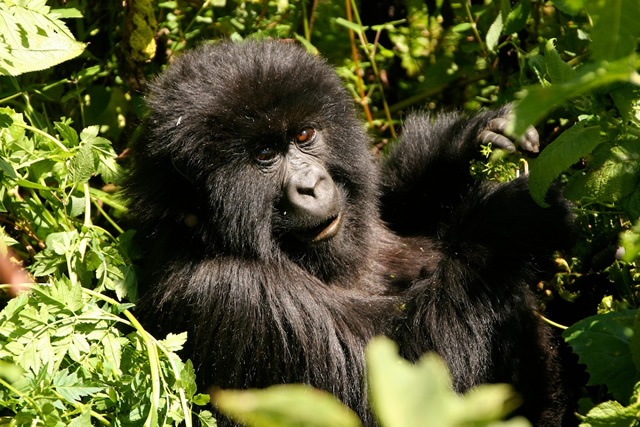 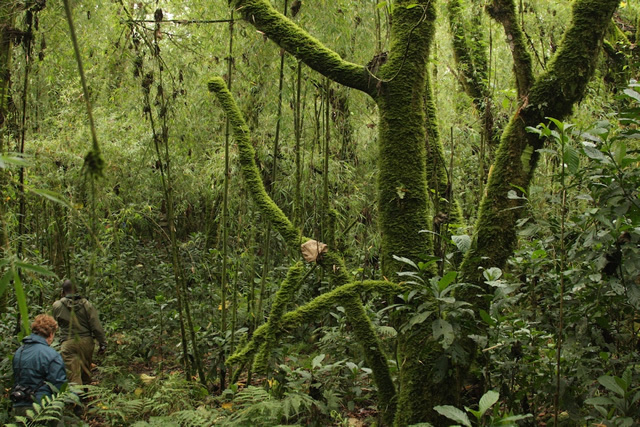 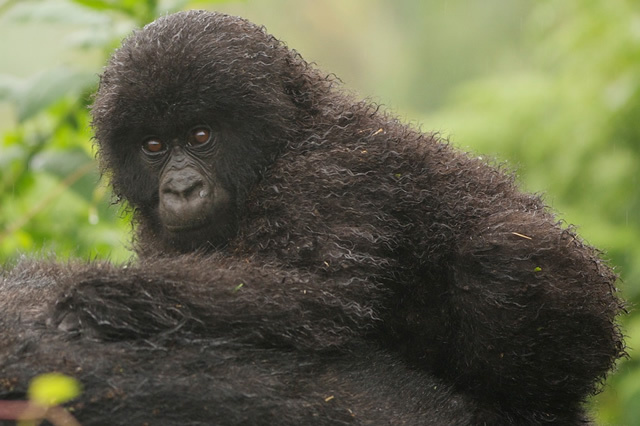 The Volcanoes national park in Rwanda is where you can track and see this rare species. 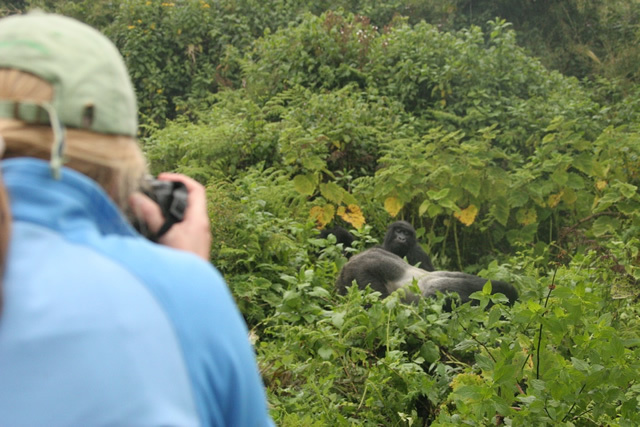 This national park encompasses a series of spectacular volcanoes, and the scenery here is impressive. 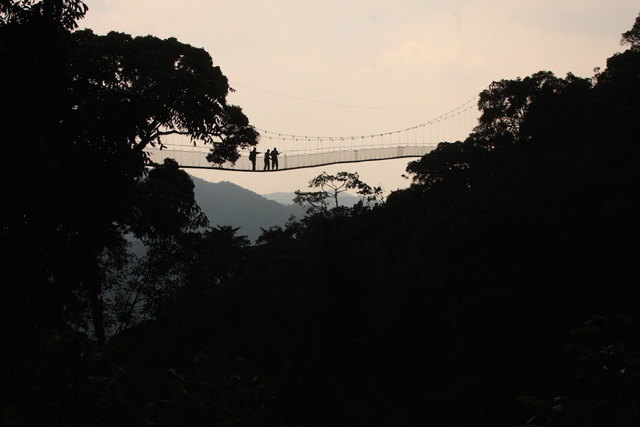 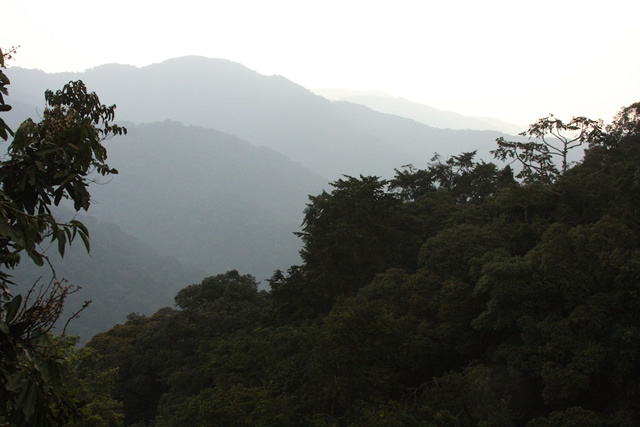 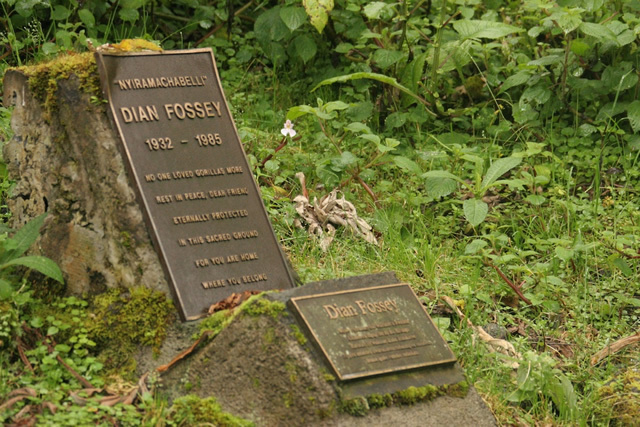 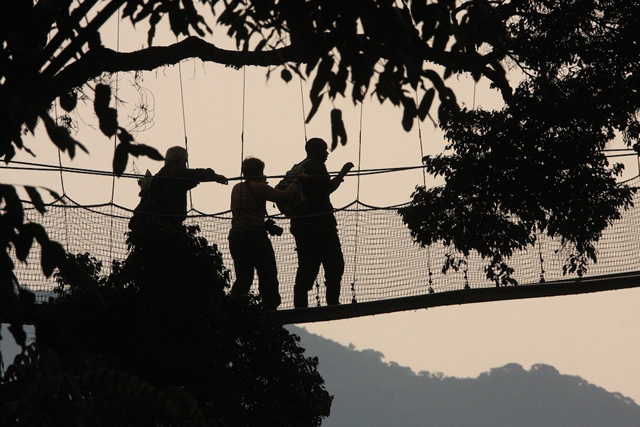 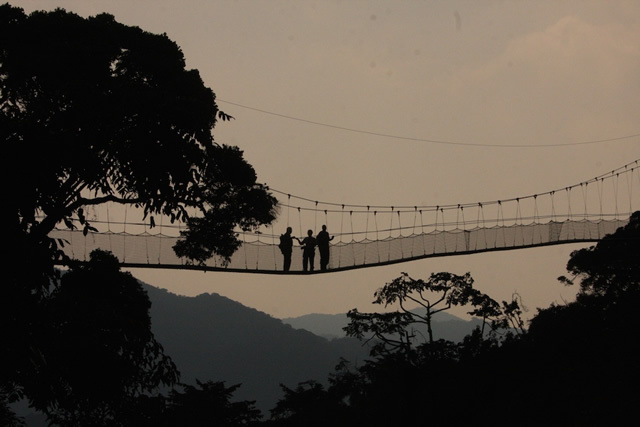 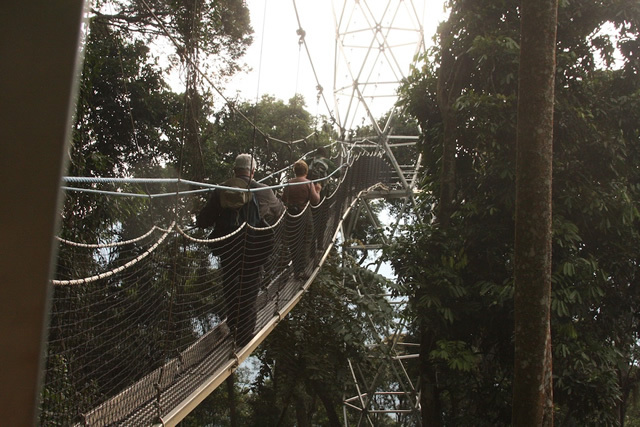 Recently facilities have improved in the opposite corner of Rwanda, at Nyungwe national park, where you can follow forest trails and explore a forest canopy along a walkway, see various different species of monkeys and you may see wild chimpanzees. 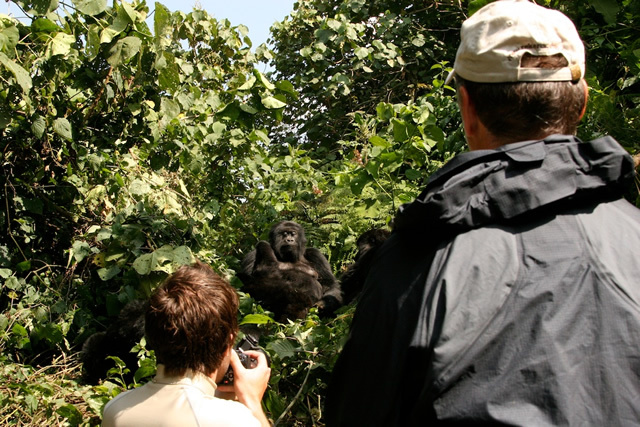 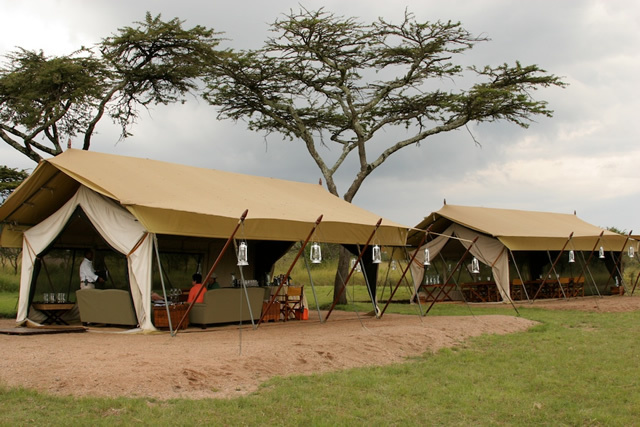 A safari to Rwanda is best combined with Kenya or Tanzania, as there are direct flights between these two countries, and both offer a wide variety of places to explore that contrast superbly with Rwanda’s lush green cultivated hills.